The MSO-9412 is our flagship Mixed Signal Oscilloscope. 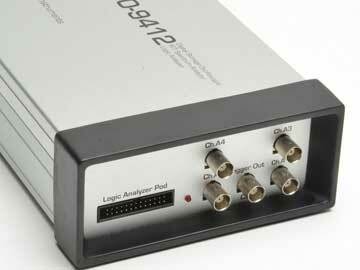 It is both a Logic Analyzer and a 4 ch Oscilloscope and can sample at up to 1 GSa/s. The large 2 Mpt data buffers let you make full use of the 1 GSa/s (single shot) and 50 GSa/s (repetitive mode) sampling. 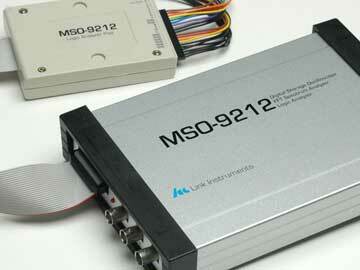 The MSO-9212 is both a 12 ch Logic Analyzer and a 2 ch Oscilloscope. It can sample at up to 1 GSa/s. The large 2 Mpt data buffers let you make full use of the 1 GSa/s (single shot) and 50 GSa/s (repetitive mode) sampling. 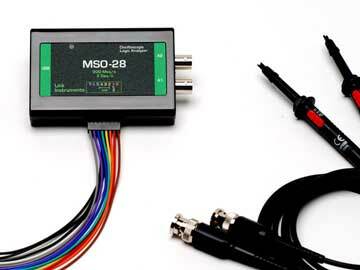 The MSO-28 has 2 Oscilloscope channels and 8 Logic Analyzer channels. Like the MSO-19, it's ultra-small and USB-powered. 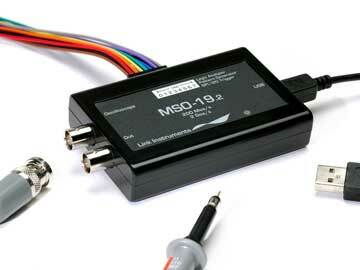 It samples at 200 MSa/s (single shot) and has analog and digital inputs. 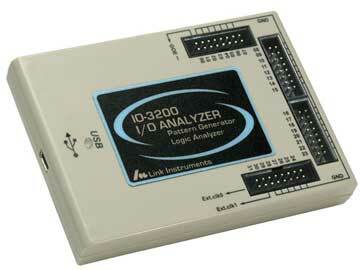 The IO-3200 is both a Logic Analyzer and a Pattern Generator in one USB-based Windows instrument. All of the units have 32 channels; they are small, portable, and USB-powered. They operate at up to 400 MSa/s. 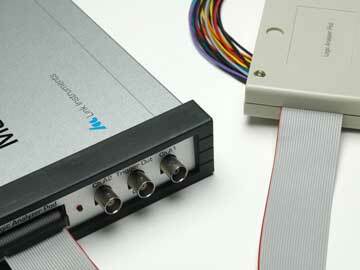 The bidirectional channels can be used as Logic Analyzer and Pattern Generator at the same time. The MSO-9201 is similar to the MSO-9212. For those that only need an Oscilloscope, this value offering makes the Logic Analyzer optional. The palm-sized MSO-19 is an Oscilloscope, Logic Analyzer and Pattern Generator. It samples at 200 MSa/s and is only $249. It's USB-powered and small enough to carry in your laptop bag. 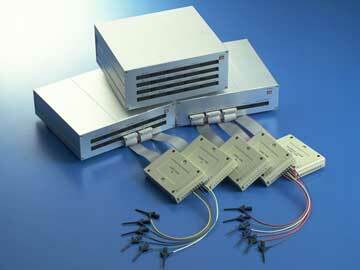 The flexible LA-5000 series is available in 40, 80 and 160 ch configuration, which can capture at rates up to 500 MSa/s. Optional Pattern Generator pods are available. 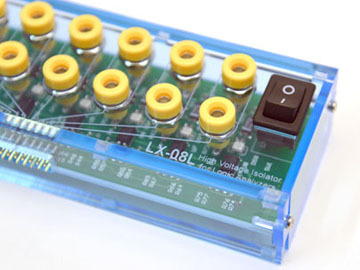 The LX-08 high voltage isolator extends the signal analysis capabilities of logic analyzer from lab bench to factory floor. Perfect for PLC design and Industrial Internet of Things.